Update: On February 20, 2019, the State of Iowa defendants Governor Reynolds, Attorney General Tom Miller, an Montgomery County Attorney Drew Swanson filed a notice of appeal to the United States Court of Appeals for the Eighth Circuit. Their opening brief will be due April 3, 2019. We will keep you posted! On January 9, 2019, the United States District Court for the Southern District of Iowa declared Iowa’s Agricultural Production Facility Fraud statute to be unconstitutional. Animal Legal Defense Fund v. Reynolds, No.4:17-cv-00362 (S.D. Iowa 2018). This is one in a series of several recent rulings federal courts have made invalidating laws created to protect agricultural production facilities from unauthorized intrusion. The Iowa court found that the law, as written, violates the First Amendment of the United States Constitution. The Iowa Legislature passed Iowa Code § 717A.3A in 2012. This legislation, sometimes referred to as Iowa’s “Ag-Gag” law, prohibits persons from obtaining access to animal production facilities under false pretenses. It also prohibits making false statements to get a job with an animal production facility with the intent to commit unauthorized acts on that premises. A first conviction under § 717A.3A is a serious misdemeanor, and a second or subsequent conviction is an aggravated misdemeanor. § 717A.3A(2). On October 10, 2017, groups opposed to the law filed a challenge in the United States District Court for the Southern District of Iowa against the Governor and Attorney General of Iowa. The groups—which included the Animal Legal Defense Fund, Iowa Citizens for Community Improvement, Bailing Out Benji, and People for the Ethical Treatment of Animals—alleged in their petition that “the legislative purpose was to punish animal rights groups and curtail a form of political speech of great public concern.” Specifically, the plaintiffs alleged that § 717A.3A is facially unconstitutional as a content-based, viewpoint-based, and overbroad regulation. Proponents argued that the law provided constitutionally-permissible protection for the security, privacy, and property rights of agricultural producers. In February 2018, the district court denied the defendants’ motion to dismiss the lawsuit after finding that the falsehoods criminalized by the statute were nonetheless constitutionally protected speech. The court also ruled in that order that § 717A.3A was a content-based regulation, meaning that it targeted speech based on its communicative content. In making its ruling, the court first affirmed its February holding that the speech implicated in the law—false statements and misrepresentations—was protected by the First Amendment. Acknowledging that this finding may be “disquieting,” the court stated that “one of the costs of the First Amendment is that it protects the speech we detest as well as the speech we embrace.” Although not all false statements are constitutionally protected, the court ruled that the ones suppressed by the Iowa law were protected because they did not cause a “legally cognizable harm” or provide “material gain” to the speaker. Once the court affirmed its February finding that the law targeted constitutionally-protected speech based upon its communicative content, the law was presumptively unconstitutional. The State then had the burden to prove that the restrictions were narrowly tailored to serve a compelling state interest. This is a very heavy burden, which the court ruled the State did not meet. The court found that the State’s actual interests in passing the statute, protecting property and biosecurity, were important but not compelling. Nor were the restrictions “narrowly tailored” to protect these interests. The court found that the defendants produced no evidence to show that the law’s restrictions were necessary to protect the perceived harms to property and biosecurity. Furthermore, the court found that content-neutral trespass law[i] and biosecurity law[ii] already protected agricultural production facilities from alleged harms. On January 30, 2019, plaintiffs filed a motion seeking an order declaring Iowa Code § 717A.3A to be facially unconstitutional permanently enjoining its enforcement. The court has yet to rule on the motion. The Iowa Court’s decision was not the first federal court opinion to consider the constitutionality of legislation designed to protect agricultural production facilities from unauthorized intrusion. In July of 2017, a federal court in Utah struck down a law prohibiting obtaining access to an animal production facility under false premises and making unauthorized audio or video recordings of these facilities. 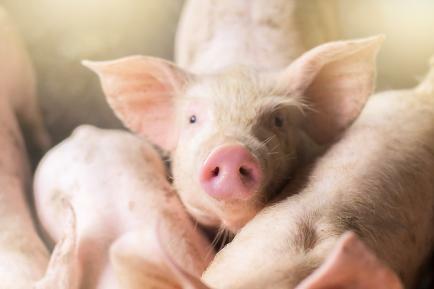 The Utah court ruled that the law violated the First Amendment because the false statements prohibited by the law did not cause harm to the animal production facilities. As such, the court ruled that these statements were protected by the First Amendment. The court specifically found that these false statements did not cause “trespass-type harm” of interfering with the ownership or possession of property. Thus, the court reasoned that the lies were protected by the First Amendment. The court found that the government’s interest in protecting these facilities was not sufficiently compelling to justify its intrusion on freedom of speech. The State of Utah did not appeal the district court’s ruling. As such, the Tenth Circuit Court of Appeals did not rule on this case. In September of 2017, the Tenth Circuit decided in another case that a Wyoming “data trespass law” implicated the First Amendment. The law established enhanced penalties for trespassing over private land to collect research data on public land, such as photographs, soil or water samples. The court noted that while trespassing does not enjoy First Amendment protection, the law targeted the “creation” of speech by imposing heightened penalties on those who collected natural resource-related data. The court remanded the case to the district court for further consideration. On January 4, 2018, the U.S. Court of Appeals for the Ninth Circuit, affirmed in part and reversed in part a 2015 Idaho District Court’s order declaring Idaho’s so-called "ag-gag" statute unconstitutional. In Animal Legal Defense Fund v. Wasden, 878 F.3d 1184 (9th Cir. 2018), the Ninth Circuit ruled that Idaho’s criminalization of misrepresentations to enter an animal production facility violated the First Amendment because it criminalized innocent behavior, was overbroad, and its purpose was to target speech and investigative journalists. The court also struck down the portion of the statute that banned audio or video recordings, finding that it impermissibly regulated constitutionally-protected speech. The court, however, upheld the constitutionality of §18-7042(1)(c), which criminalizes obtaining employment by misrepresentation “with the intent to cause economic or other injury.” This law is similar to the portion of the Iowa law prohibiting false statements to get a job with an animal production facility with the intent “to commit unauthorized acts on that premises.” The Ninth Circuit—unlike the Iowa court—ruled that lying to obtain employment was associated with a “material benefit” to the speaker. This, the Ninth Circuit ruled, placed the false speech outside of First Amendment protection. What’s Ahead for This Legislation? We will be watching for an appeal by the State. It appears that the best chance for success on appeal would be with respect to the portion of the Iowa law criminalizing lying to obtain employment with the intent to engage in unauthorized acts. If the Eighth Circuit follows the reasoning of the Ninth Circuit in Wasden, it could overturn the district court’s ruling finding that the lying was constitutionally protected. Having the intent to engage in "unauthorized acts," however, is not the same as having the intent to "cause economic or other injury.” The Eighth Circuit could rule differently based upon the broader language in the Iowa statute. Meanwhile, similar legal challenges to statutes in Kansas and North Carolina remain pending. [i] Persons “shall not, without the consent of the owner” do various acts, including entering the facility to disrupt or otherwise harm the operation. Iowa Code § 717A.2.